Exhibit booth: $350 member; $450 future member. Display table: $200 member; $300 future member. 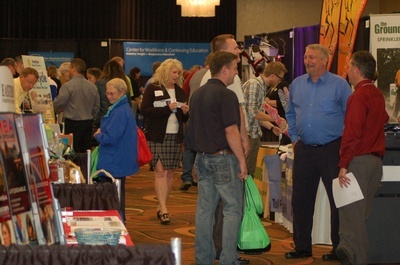 Exhibit fees increase after April 28. There are no refunds for exhibitor fees after April 24, 2018. Admission: No charge for admission or parking. The Business Showcase is the Greater Spokane Valley's largest B2B trade show, featuring exhibitors, representing nearly every aspect of business in one location--marketing, financial services, business products and services, healthcare, employee benefits, higher education, transportation/storage, janitorial and more! Show Hours: 2 - 6:30 p.m.